You will find a basket of props in a basket nearby, so grab a crown or pirate hat, sit on the throne and get creative. Every school holiday we run a competition for the most charming photo. So, if you want to be in the running to win a $50 voucher, come dressed in your faerie wear and start snapping. Upload onto our Facebook page and we will choose a winner at the end of each holiday break. 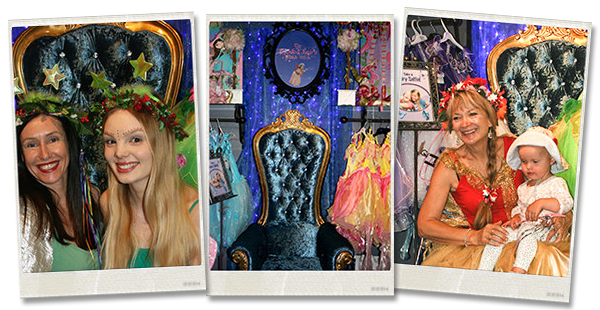 At The Pickled Fairy & Other Myths, we believe in wishing well. 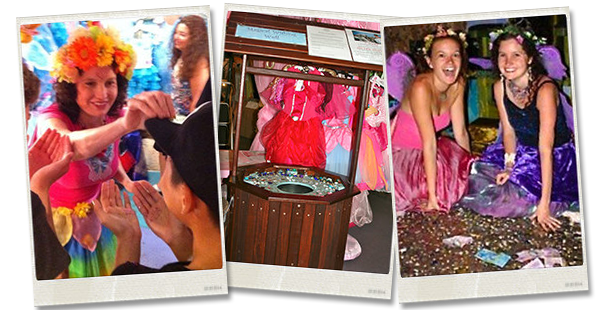 Whenever you visit us, there are lots of ways to help make wishes come true. You can write your wish on a pink heart and leave it in the font near Merlin’s cave. The fairies will burn the papers and send the wishes up to the sky, where they float around until they are ready to float back down as wishes-come-true. Or you can be sprinkled with fairy dust by our fairies, who definitely have the magic to help make lovely wishes come true. The money from the well all goes to charity. We vary where it goes as needs change and keep the name of the current recipient on the well. Last year the wishes supported Safe Childhoods Foundation, an extra-ordinary team of people dedicated to keeping at-risk children in Indonesia safely in school and off the streets. In August each year, the money from the well goes to the Australian Mitochondrial Disease Foundation. In W.A. Mitochondrial diseases affect many people, especially children, and the research into these very difficult conditions is just starting to look hopeful. One of our fairies, Pippa, is affected by the disease, and in honour of her brave struggle, which stops her from playing with us in Fairyland, we do a Stay in Bed Day in August and encourage wishers to fill the Wishing Well with their donations.